Not every planning application formally requires a community engagement programme. But following good practice demonstrates that involving local people from an early stage can pay real dividends – and the process can be made far easier by using the Consulting You web-based tool kit. A proposal to convert the Air Balloon Public House, St George, Bristol, into low-cost private residential housing on the site is a good example. The planning consultant, architect and developer agreed it was important to extend the courtesy of engaging local residents due to the loss of Community Amenity – the pub had in the past been a focal point for locals. However changes in people’s social habits meant business had been poor for years and the brewery put it on the market. With no interest being shown in the business as a going concern, Griffon Homes saw the opportunity to buy the site, with the intention of developing a small low cost housing scheme. Community Engagement Consultant Jenny Gee undertook the consultation programme, using a Consulting You Web Toolbox to bring together all the architects plans and designs, promote a local event and allow interested parties and stakeholders to feedback their comments through the web site. As well as harnessing the dedicated Consulting You website, which was used to publicise the event in advance, 140 letters were hand delivered to local residents inviting them to an event, posters were placed in local pubs, shops and post offices, and email correspondence maintained with all attendees and others who engaged with the process. A total of 23 members of the public attended the event, including members of a real ale support group who were vociferous in their objection to the scheme. 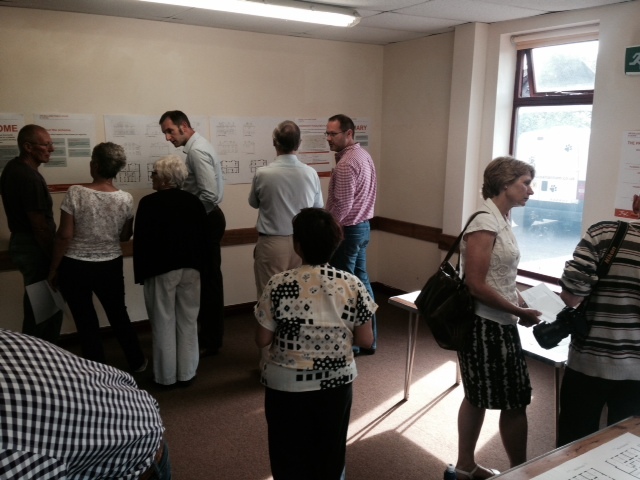 Whilst the developer, architect, planning consultant and transport consultant were available throughout to answer questions, some local residents were happier giving their feedback via the consultation web site. Using the Consulting You online resource, event feedback, in the form of emails, telephone calls, letters and verbal responses from events, can be entered into the website and subsequently downloaded into the Statement of Community Engagement. The concerns of local residents included retention of the building fascia, safe road crossing locally and sufficient parking for residents. Some changes were made to the application to accommodate these concerns as a direct result of the engagement. The planning application was passed by Bristol City Council and work has now been completed on the site with nine new residents starting life in this popular area of Bristol. “There’s no question that undertaking the engagement process adds some additional time and expense at the initial stages of the process,” says Stuart Rackham of Rackham Planning. “But using the Consulting You website made it a smoother process and enabled the team to demonstrate clearly to the planning officers that engagement had been undertaken thoroughly and professionally”. “Moreover the feedback we received helped us create a better development, and the application process itself with the Council proceeded very efficiently.